IPOH, 23 May 2008 – Agensi Kaunseling dan Pengurusan Kredit (AKPK) officially launched its new branch in Ipoh today. The official ceremony was graced by Yang Berbahagia Dato’ Mohd Razif bin Abdul Kadir, the Deputy Governor of Malaysia Central Bank. promote a sound and robust banking system by facilitating debt repayment efforts and minimizing incidences of non-payments arising from poor debt management. Located in the premise of Greentown Square, along Jalan Dato’Seri Ahmad Said, AKPK Ipoh branch provide individuals with services on credit counselling and money management, debt management programme as well as financial education. Through AKPK’s facilitation, debt management plans are devised to assist borrowers work out budgets in meeting their financial needs. 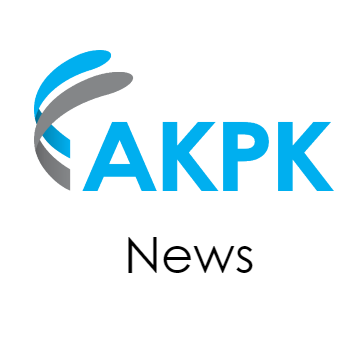 The services of AKPK are provided free of charge. The AKPK Ipoh branch commenced its operation in November 2007. To-date there is a total of 9 AKPK offices in Malaysia. In addition to Ipoh, AKPK had established offices in Kuantan, Malacca, Penang, Johore Bahru, Kuala Terengganu, Kuching, Kota Kinabalu and its headquarters in Kuala Lumpur. The establishment of the regional offices represents AKPK’s continuous effort to ensure that its services are available to a wider segment of the Malaysian population. “The launching of AKPK Ipoh branch is of significance to us, as it also marks AKPK’s 2nd Anniversary” said Mohamed Akwal Sultan, AKPK Chief Executive Officer. Over 32,000 customers have sought counselling services of the agency and about 12,000 customers have been assisted via our Debt Management Program since we started operation in Kuala Lumpur in April 2006. More than 500 customers had sought our services on counselling and debt management in Ipoh since we commenced operation in November 2007. “It is our objective to educate as many Malaysians as possible to be financially savvy and to ensure that Malaysians continue to be prudent in managing their finances. With the launching of the new regional office in Perak, members of the public in this region can now have access to all the services offered by AKPK at a location, which is nearer and convenient to them” added Mohamed Akwal. In connection with AKPK’s vision Make Prudent Financial Management a Way of Life for all Malaysian, the launch of AKPK branch office in Ipoh today is another step to reaching AKPK’s goal to help individuals everywhere take control of their financial situation and gain peace of mind that comes from the wise use of credit.